This has not happened for several years. Since this autumn, they are 5 student Brothers in residence at the Casa – Generalate House in Rome. 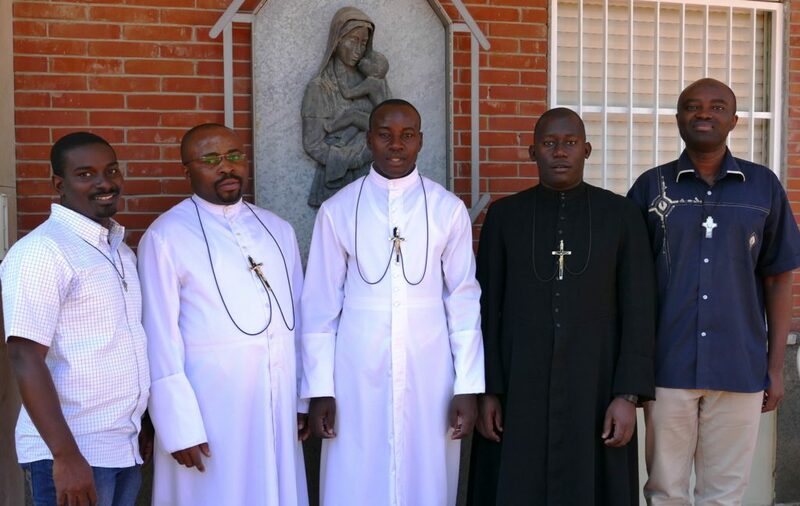 Bro Eric MUGISA comes from Congo, Bros Delefino MUHINDO and Geoffrey YIGA from Uganda, Bro Damien HABIMANA from Rwanda and Bro Rony PIERRE from Haiti. Four are students at the Angelicum, only Bro Rony PIERRE studies at the Gregorian.